Eggs in a rich, fragrant onion-tomato gravy, for when you just HAVE to have some Indian food. Makes for a great balanced meal when combined with rice or rotis, requires simplest ingredients and is ready in a jiffy – what’s not to love! Some days you cannot be bothered with salads and smoothies, however much you love them, yet need to keep your meals healthy. Consider it as another healthy meal – and not a cheat meal – when you go with this egg curry. While it might require a tablespoon more of oil and little more sautéing than your usual healthy food preparations, it still has a balanced macro and micronutrient profile, and does a good job of satiating your cravings. Boil eggs. Allow them to cool, peel and make vertical slits on them. Heat oil in a non-stick pan. Fry the eggs for a minute. Set aside. Grind onions, tomatoes, ginger and garlic. In the same pan, add cardamom, cloves, bay leaves and cinnamon and fry for half a minute. Add the ground paste and fry while stirring in between, until the raw smell disappears and the paste is dark brownish. Add green chillies, turmeric, sabji masala and salt. Add water to bring the gravy to desired consistency, adjust salt. Add eggs to the gravy and allow it to simmer for a minute. Sprinkle kasuri methi and chopped coriander. 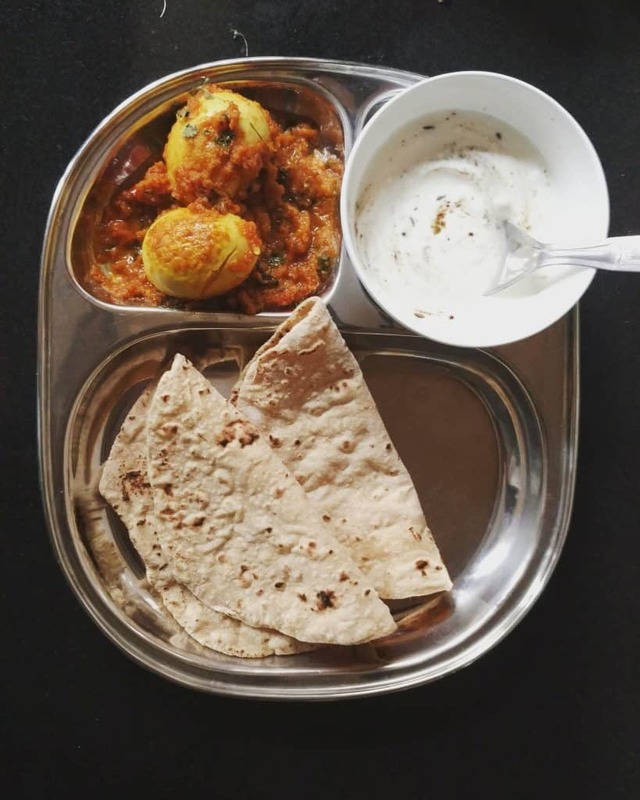 Do note that egg masala itself is low in carbs, including fiber and hence should ideally be paired with rotis or rice and veggies for optimum fiber and balanced carbohydrate intake. You can balance your fat intake by choosing to leave out the egg yellows if you’re exceeding your daily limit.